While New York is notoriously know for its black-on-black-on-black ensembles, something magical happens in September when the world's best dressed humans flock to NYC for New York Fashion Week. Somehow the spirit of Spring breaks through the Summer heat, allowing best dressed New Yorkers to emerge in pattern-filled outfits. I have to say that this is one of my favorite times of the year in NYC. Okay stop judging...I know we all love the chic effect that black-on-black produces, but after a whole year of it, it is nice to get a break from black for a week or two. This past week during NYFW SS16, NYC was filled with mix-matched patterns that were to die for. 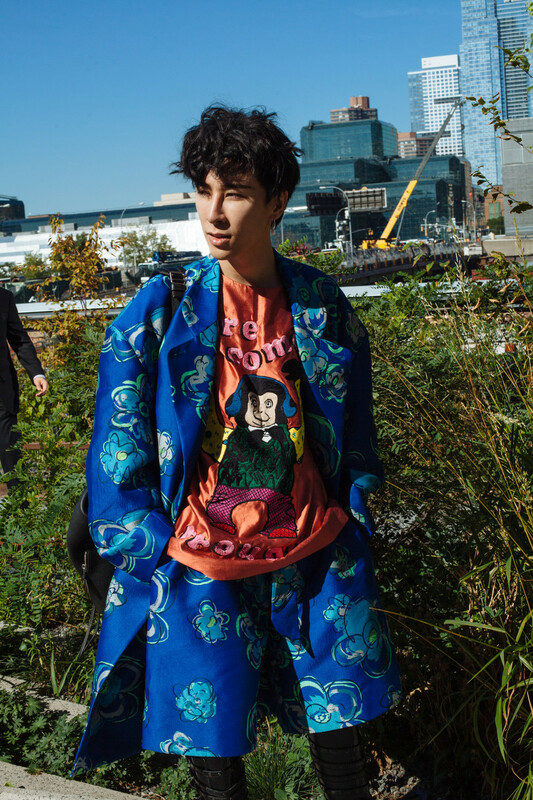 Check out how prints impacted the streets of New York and what we can look forward to this coming Spring.